ZIVAN's New SG6 battery charger has a very powerful flash microprocessor with CANBUS capability and boasts the very latest in IMS MOSFET technology. ZIVAN's first model has a power rating of 2 kW and exceptional heat sink design. The SG6 has the ability to save more than 250 charging cycles while monitoring and analyzing battery behavior. 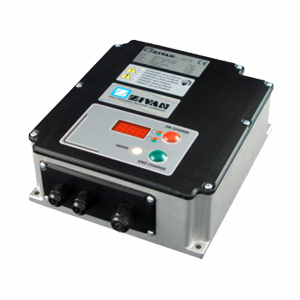 The CANBUS interface allows the charger to communicate with other devices such as the controller, BMS and PC. This feature makes it possible to use the SG6 to charge all available battery chemistries (Li-ion, LiPo, NiMH, Pb, etc...).